We are Smartstreets. Designers and manufacturers of unique, award winning gum and cigarette bins, pocket ashtrays and quick install bike parking. We deliver cleaner, tidier, more welcoming urban spaces by targeting micro litter and other environmental issues in completely new ways. For the first time gum and cigarette litter bins can be everywhere they should be without adding clutter to the street scene. Smartstreets award winning, twin litter bin design clamps around any size or shape of lamp column or sign post to transform existing infratstructure into networks of easy-to-find, easy-to-use litter bins. 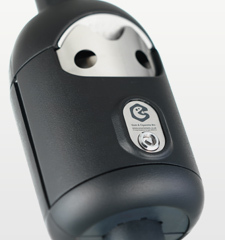 A patented and uniquely effective approach to gum and smoking related litter that is transforming local environment quality in urban environments worldwide. 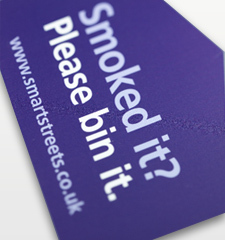 Single Smartbins put cigarette and gum disposal within easy reach of doorways and transition points keeping busy public, commercial and retail spaces clear of micro litter. 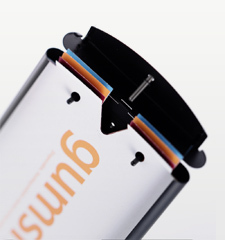 Smartbins can be colour matched, branded on request and specified for either interior or exterior use with a wide range of railing brackets, plinth and bespoke fitting options. A neat, engaging gum disposal solution for installation on posts, walls and railings which invites gum chewers to press their used gum onto colourful Gumsheets™ locked within the unit. 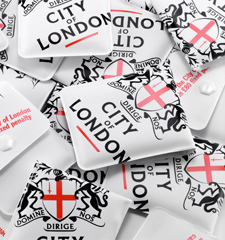 Cleansing teams simply remove and dispose of the cards as required and replace with fresh sheets from a wide range of engaging graphics to maintain interest. 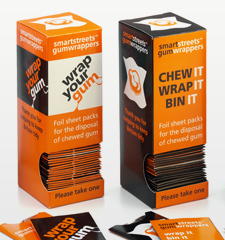 Gumsticks have proven extremely effective for reducing gum litter in urban areas. Now you can turn existing sign posts into secure bicycle parking in minutes to release new value from existing infrastructure, prevent trip hazards and reduce bike theft. 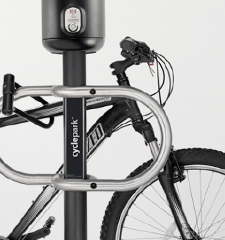 Recipient of the prestigious Red Dot Product Design Award for 2012, Cycleparks™ promote cycling, facilitate convenient bike parking on narrow streets and help identify cycle routes. Call for branding and colour matching opportunities and find out how you can roll out hundreds of extra bicycle parking spaces overnight, without adding clutter to the street scene. 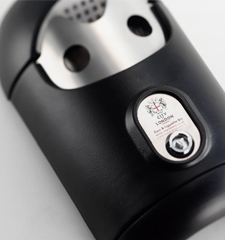 Generic or bespoke print pocket ashtrays. Clean, soft and graphics capable - Smartstreets-Minibins™ are the perfect disposal option for cigarette ends and gum for people on the move. Holding up to five cigarette ends, there is no need to stub, just pop ip, pop closed and empty the Minibin later into a suitable bin. Safe, odour free, re-usable and made of sustainable materials, our clients have seen a 70% drop in cigarette litter where their bespoke design Minibins are distributed (Source: BBC/Edinburgh Council). Pocket size packs of foil backed sheets for clean disposal of chewed gum. Perfect as hand-outs on litter awareness days or presented in a neat, help yourself desk top dispenser format. 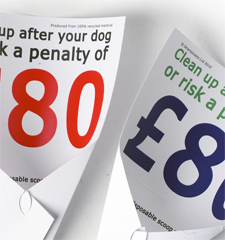 Made from recycled cardboard and 100% biodegradable, Smartscoops help raise awareness of the problems caused by dog fouling in urban areas and encourage dog owners to clean up after their pets. A neat, sustainable EC Design Registered communication format which urges considerate behaviour and brings people onside by providing the means to do the right thing to keep pavements cleaner and safer for everyone. Robust, high impact signage which put's your message at people's feet exactly where you want it noticed. Designed for busy streets or internal floor surfaces you can have any size, shape or graphics to deliver highly creative, targeted campaigns people cannot miss.